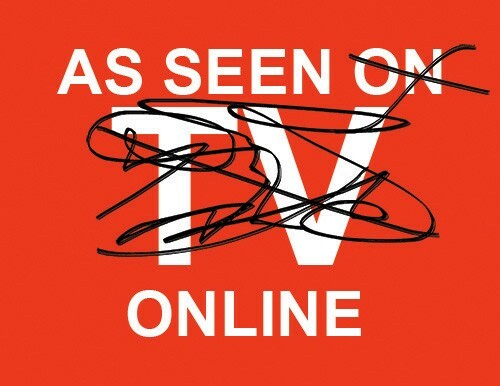 Just because TV is everywhere doesn’t mean you should have to look all over to find it. 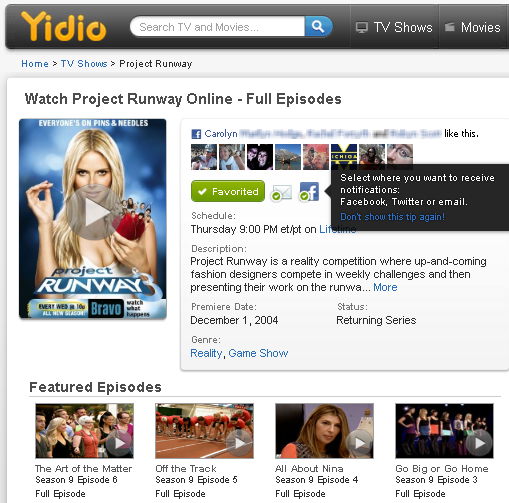 Yidio Alerts bring all your TV to you, leveraging the pre-eminent social channels to deliver a personalized, prioritized TV guide. TV fans can now sign up to get push notifications for new episode broadcast airings, new online streaming episode availability, and new articles published on their favorite TV shows & movies. The alerts can be delivered by email, Facebook, Twitter, or viewed on the Yidio website. The public beta launch of Yidio Alerts services for Facebook, email and Twitter is a demonstration of the scalability and flexibility of the core Yidio API and program guide to aggregate, normalize and broadcast complex entertainment information. 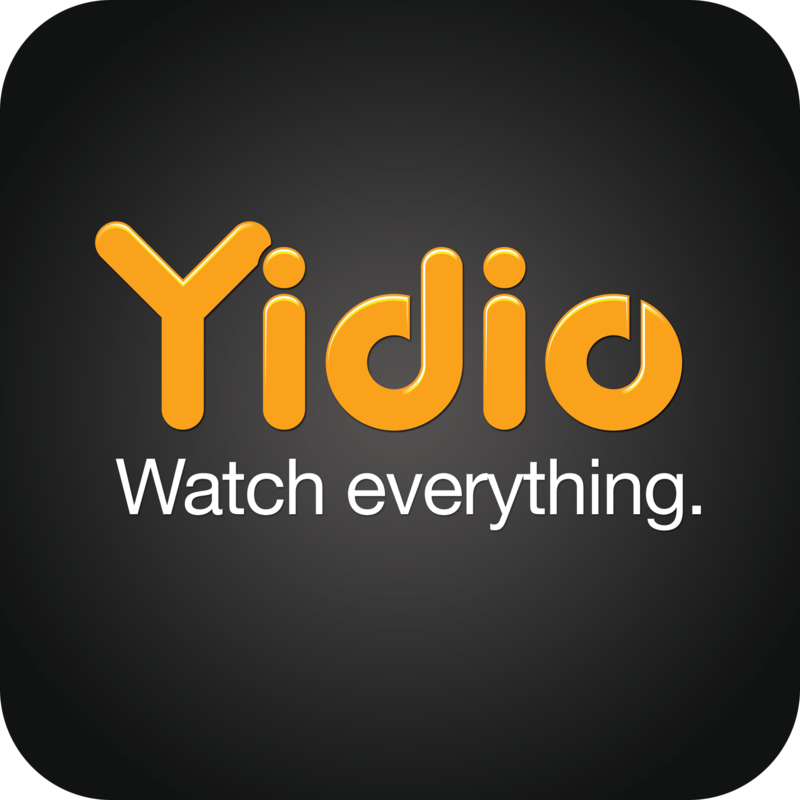 Yidio Alerts makes it easy to find, watch and share TV and movies. Try it today to get your personalized TV notifications. Then let us know what you think! Its fairly easy to figure out how to watch current season and newly airing episodes of favorite shows, but if you missed the first season of Glee or Dexter, unless you follow Variety, you won’t know you can now catch those on Netflix streaming service, thanks to a new deal with 20th Century Fox. And yesterday, in an interesting move, WB, Sony and Universal and 20th Century will be making first run movie premiers available via DirecTV next month for $30 – turning your living room into a movie theater. If anything, the choices for watching TV and movies at from free to premium keep expanding, and fragmenting at the same time. At Yidio we scan hundreds of sources for television and movies to bring it all into one up-to-the minute and comprehensive guide. 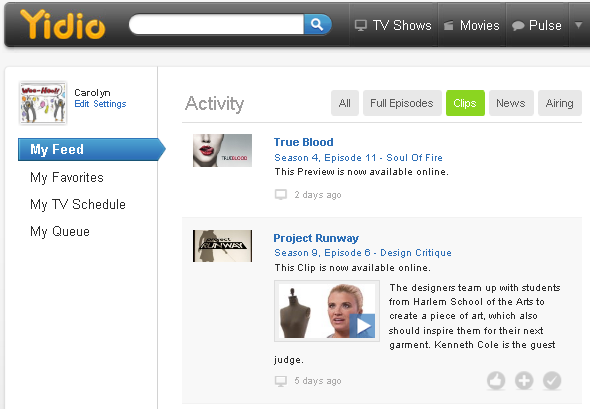 Our guide now indexes more than a million TV episodes wherever you want to watch it.